The registration process for our “Crowdsourcing for the Common Good” Summer School is now open! 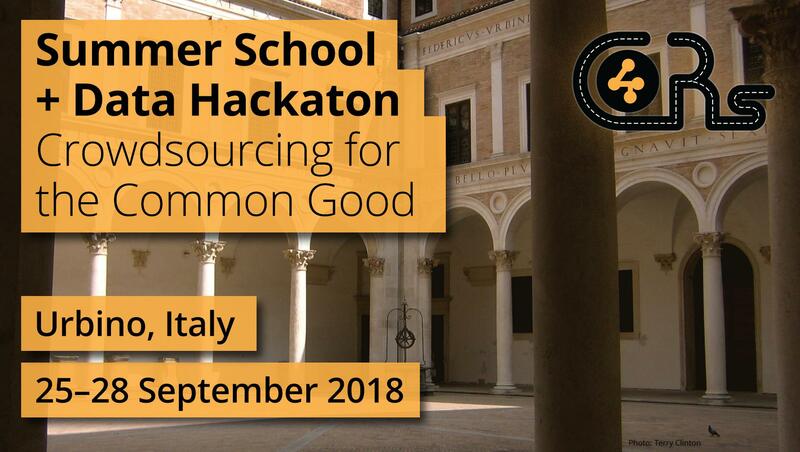 The Summer School will be held in Urbino (Italy) from September 24th to 27th, 2018 and will include two days of sessions about social innovation, collective intelligence, crowdsensing, data privacy, and gamification and one full day “Data Jam” (a Hackaton-like all night long event). Check out the Summer School page for further details. Submit your free registration request now: participation for confirmed attendants is free of charge, including food and drinks during the “Data Jam”. Accommodation and travel costs are not covered.